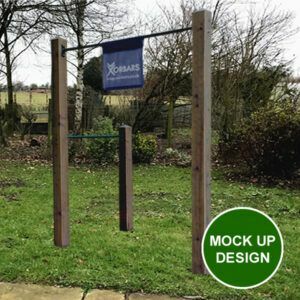 We can now mock up a visual conception of how your new Xorbars Gym may look in your garden. Important: The cost of this service will be reimbursed upon purchase of one of our installed outdoor gyms. 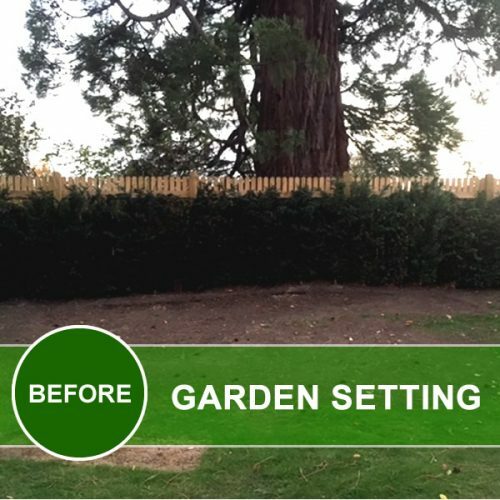 Step 2: We will ask you to send in 3 x photos of your garden indicating roughly the area in which you would like the gym installed and which outdoor gym you are interested in. 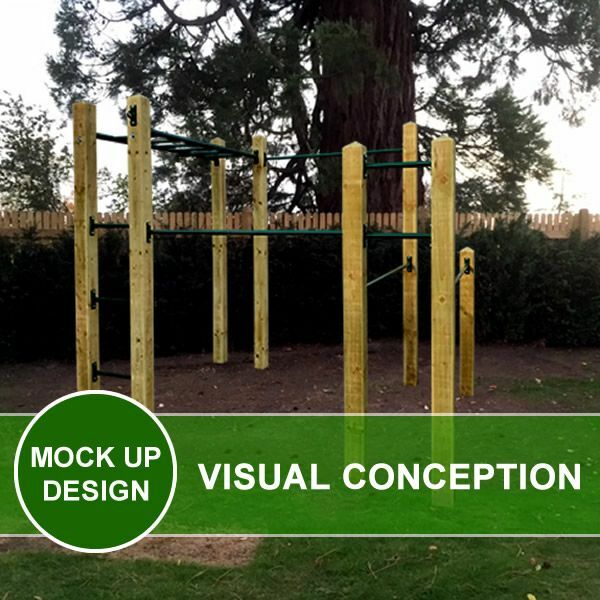 Step 3: We will then send you a mock up showing your chosen gym positioned in your garden. Note: Please also read details below regarding what we can and cannot produce. The images we use of our gyms are currently only taken from one angle. 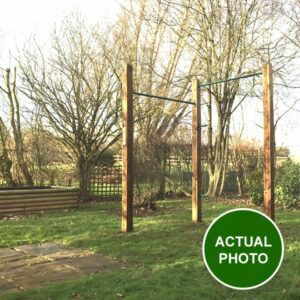 What this means is that we (currently) cannot orientate the gym to the exact position it may eventually be installed in your garden. Example Photos: See the images above as an example. The mock up shows the parallel bars facing the opposite direction to the actual installed product. 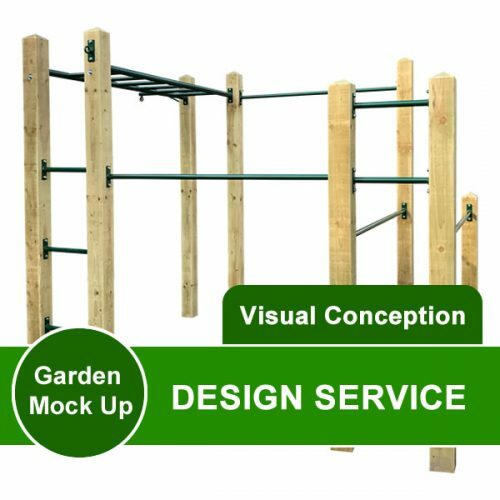 But we hope that you can see that it does a pretty good job of helping you visualise what our garden gyms could look like in your own garden. It may also be the case that the angle in which the photo is taken may not match exactly the angle in which the super imposed picture of the gym was taken. Again, our aim here is to give you an idea of how it could look rather than a full depiction. Because we install Xorbar Gyms every week, we have a pretty good idea of scale, however it is our best expert guess and not an actual scaled visual conception. 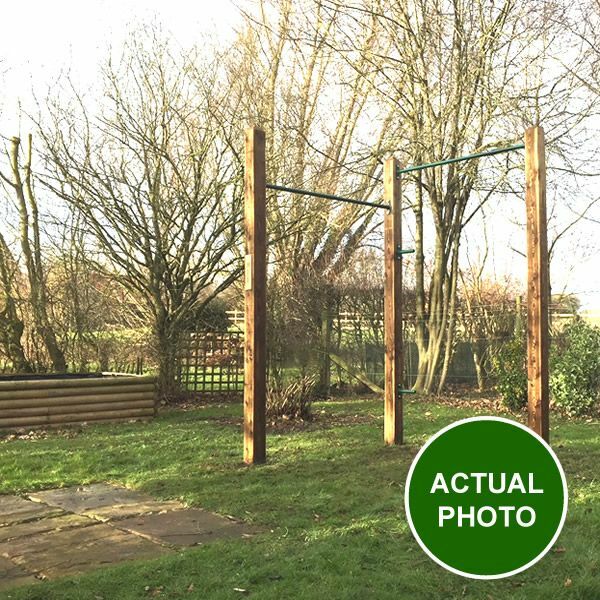 This client was interested in our 2 x pull up bar package which has a high pull up bar and a low pull up bar. Notice the lower pull up bar is shorter (3.5ft). The client asked if it was possible to upgrade on the day to a taller second post and possibly a second 5ft (wide) wide pull up bar. She was also unsure of the exact orientation. VISUAL CONCEPTION: In the first photo below you can see what we mocked up using the standard package. 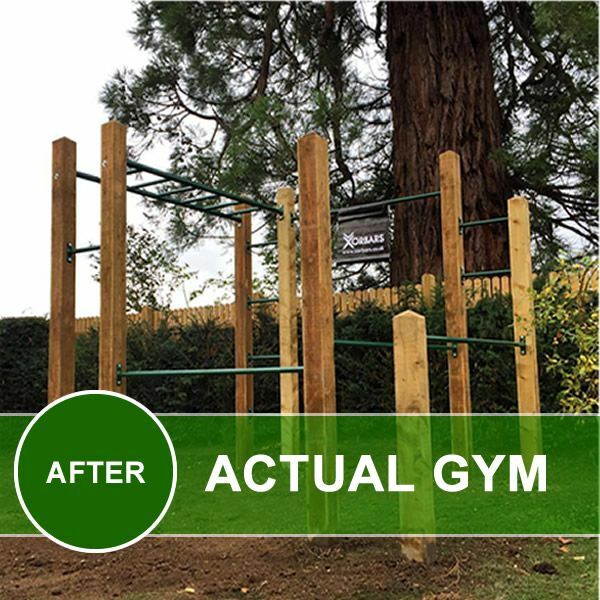 ACTUAL INSTALLATION: In the second photo you can see that the client opted for 2 x tall posts and 2 x 5ft pull up bars. We also added 2 x grab/foot bars so that the shortest person could still use both bars.